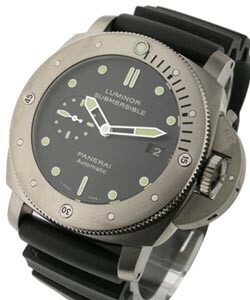 This watch is also known as: PAM087 , PAM87 , PAM87 . 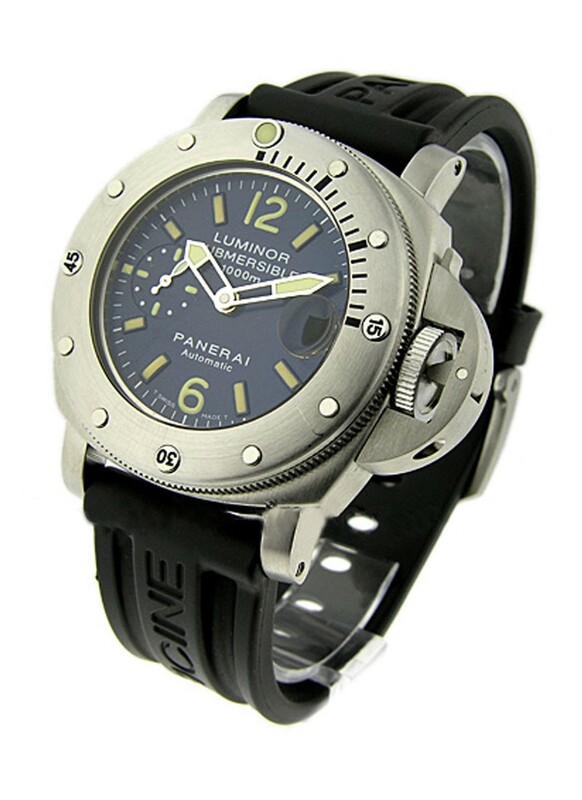 Blessed with a suave appeal, the Panerai PAM 87 - Luminor Submersible 1000 meters - Limited Edition (ref PAM 087) features a solid stainless steel case in brushed effect with a case diameter of 44mm. 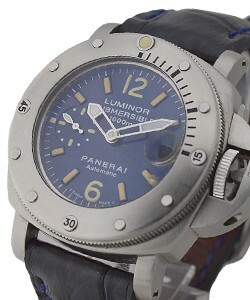 It displays a midnight blue dial, which carries gold hour markers, a chronograph, and an edgy layout. 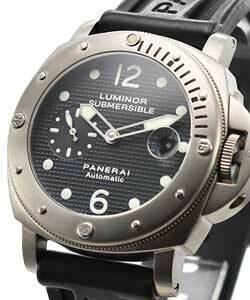 Enhancing its masculine appeal is its rubber strap bracelet bearing the name Panerai. 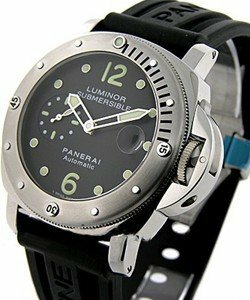 The Panerai PAM 87 - Luminor Submersible 1000 meters - Limited Edition (ref PAM 087) is also water resistant for up to 1000 meters, making it an exceptional diver?s watch. 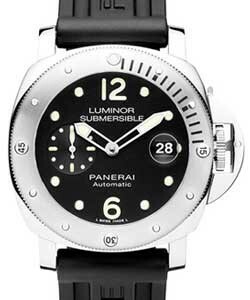 With its exceptional features and cool appearance, the Panerai PAM 87 - Luminor Submersible 1000 meters - Limited Edition (ref PAM 087) is certainly a quality timepiece.